The celebration at the Triple B Ranch was a fantastic day filled with hikes and tours with incredible views, excellent food, and great people! We were celebrating a major achievement and we want to be sure you know that this type of permanent land protection is made possible by the contributions of many supporters and volunteers. 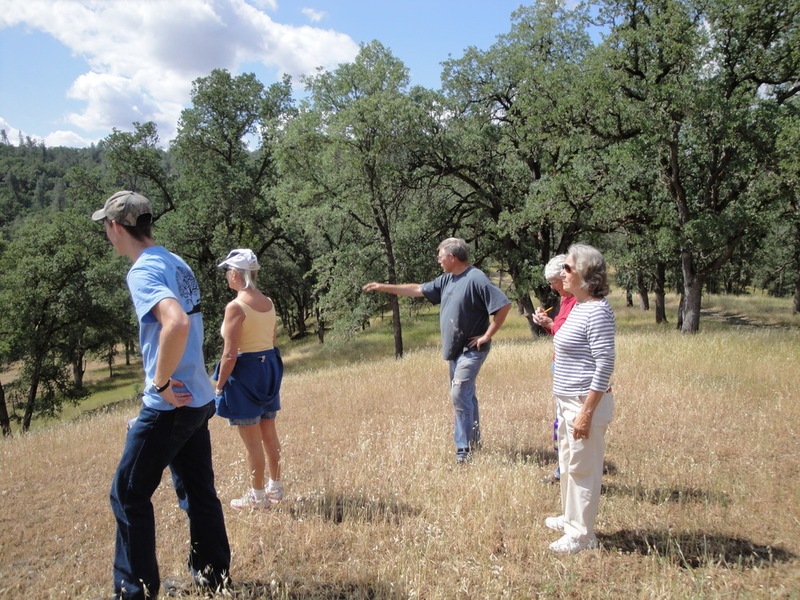 Contributions by people in our community make the work of the Shasta Land Trust successful. We are lucky to have the opportunity to work with Triple B Ranch landowners, Steve and Angelia Boero, and very glad so many of our supporters had a chance to meet them. Also, we want to say Thank You again to all our volunteers and to Wildcard for delicious brew, and Ten Mile Station for inspiring music. The Record Searchlight published a nice article about this project and our event on the front page of the paper. Why is this land significant? We celebrate the permanent protection of Triple B Ranch for many reasons – including the scenic beauty you have probably already heard so much about. Additionally, this land and the Cow Creek Watershed provide natural and agricultural benefits that are important to everyone in the region. Triple B Ranch is the sixth conservation easement completed by the Shasta Land Trust in this watershed, providing protected habitat of nearly 20,000 acres. "Cow Creek and its numerous tributaries are experiencing increasing pressure from a variety of land uses, not to mention those added by the current drought. I applaud the Triple B Ranch for their generosity and the Shasta Land Trust for their dedication to protecting this sensitive watershed. Those efforts will help to reduce long-term demands on the water supply, therefore sustaining flows for aquatic species and other wildlife."